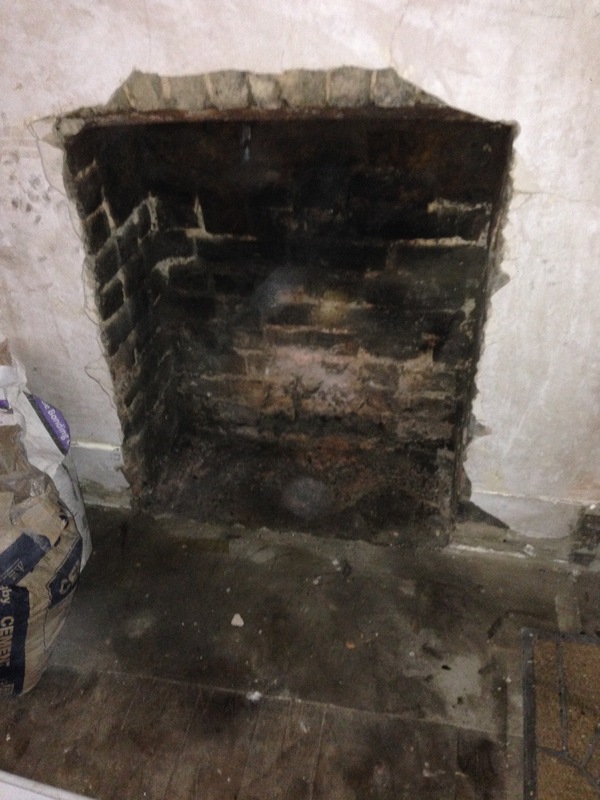 Home › A Day in the Life of a Local Chimney Sweep! 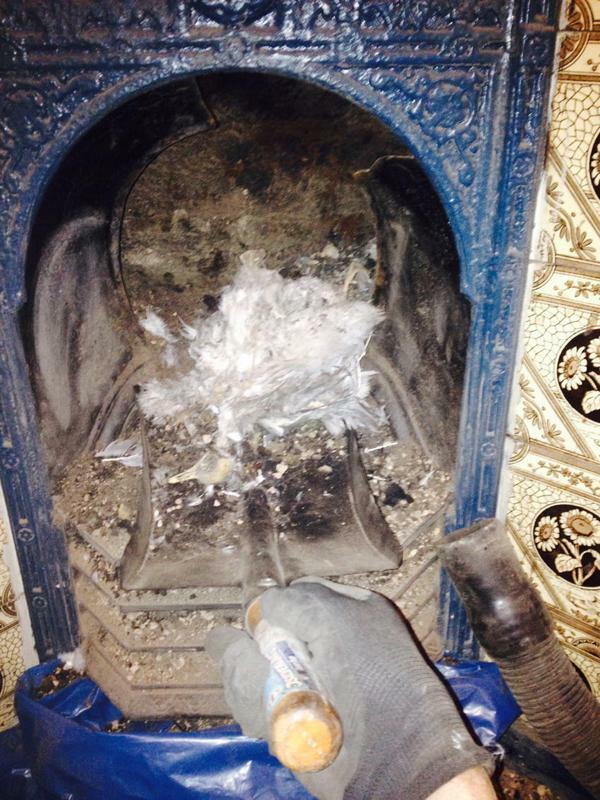 This lovely old Victorian fireplace was last swept in 1964, the giveaway was the remnants of the Daily Mirror from March 1964 – When Mods and Rockers were in the news after a ‘Wild Ones’ confrontation in Clacton.The mummified crow in the picture and 3 sacks of debris came out of this chimney in Nunhead but after a thorough sweep is now fit for use! One of the perks of being a London chimney sweep is the great views! This was the view from a house in E14. We swept eight chimneys and checked that the stacks and pots were all in good order! 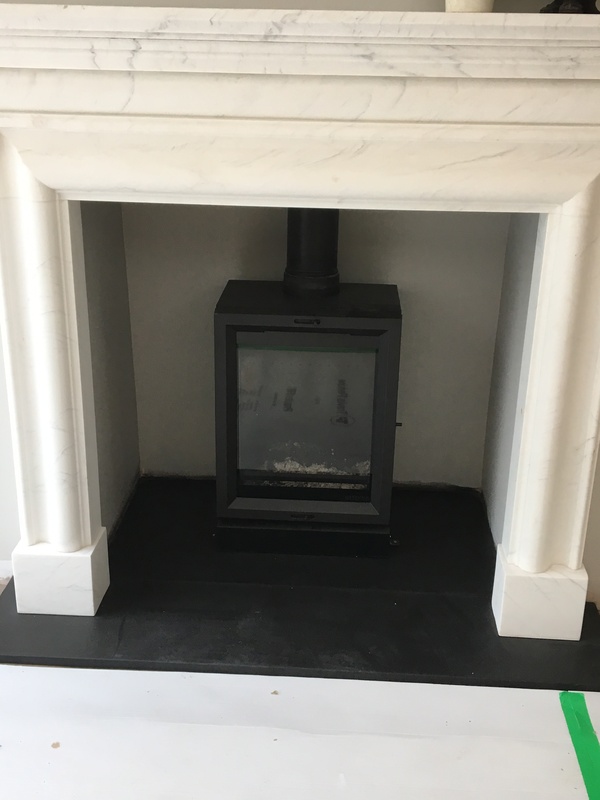 We get a lot of calls from builders who are refurbishing properties and are including a working fireplace or stove as part of the works. On this job, the fireplace opening had been closed up for a number of years. 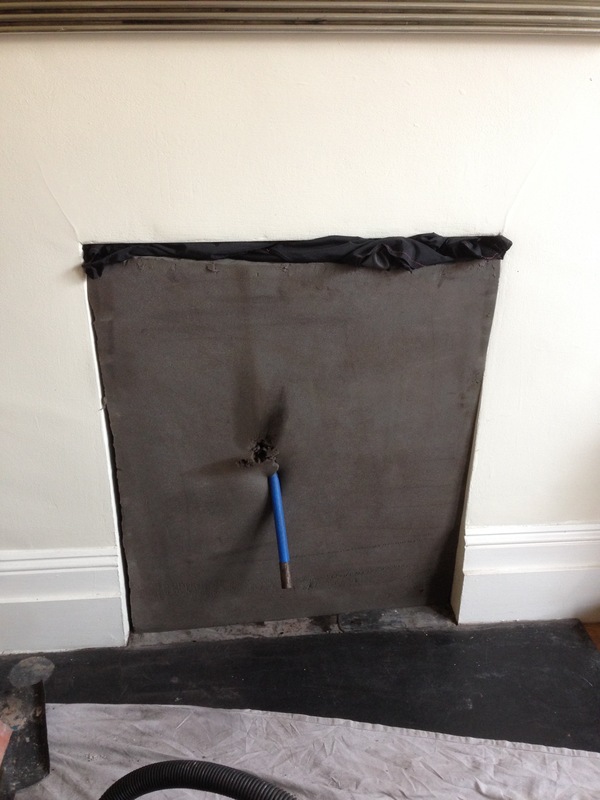 Upon sweeping it became that the flue was blocked with a large clinker deposit. This is often caused by a chimney fire, or by burning unseasoned wood. We cleared the blockage and and completed a smoke test to ensure it was now fit for use. We always enjoy sweeping pub chimney’s, this week we have been working on the flues at the Gregorian in Rotherhithe. This is lovely pub in South East London and one where you can look forward to sitting in front of a roaring log fire in the not to0 distant future! We’ve had some great weather this week, and its been good that so many people are already thinking of getting there chimneys swept. It may only be the start of October, but the cold weather will soon be upon us! 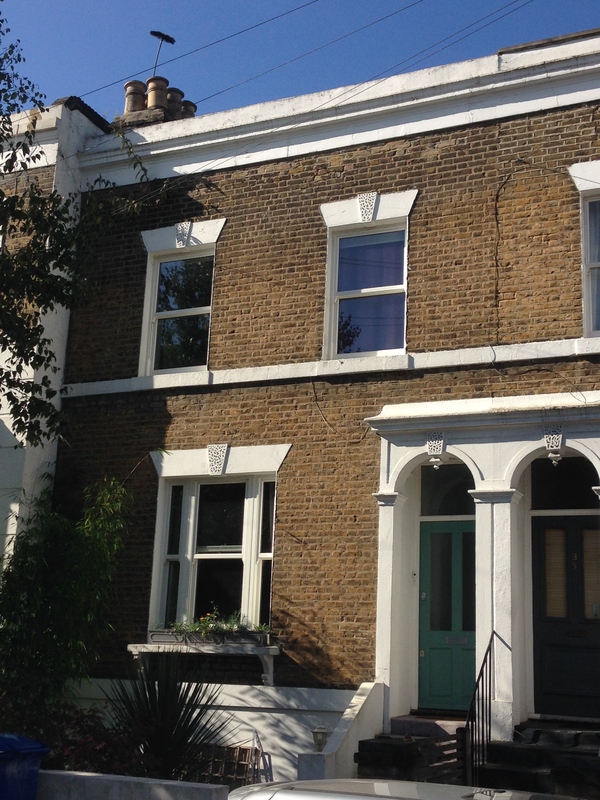 This lovely house in North Peckham is now ready to fire up the hearth and it was great to see the chimney sweeps brush silhouetted against the azure sky. Another glorious day in South London, but can you spot the problem with this pot? 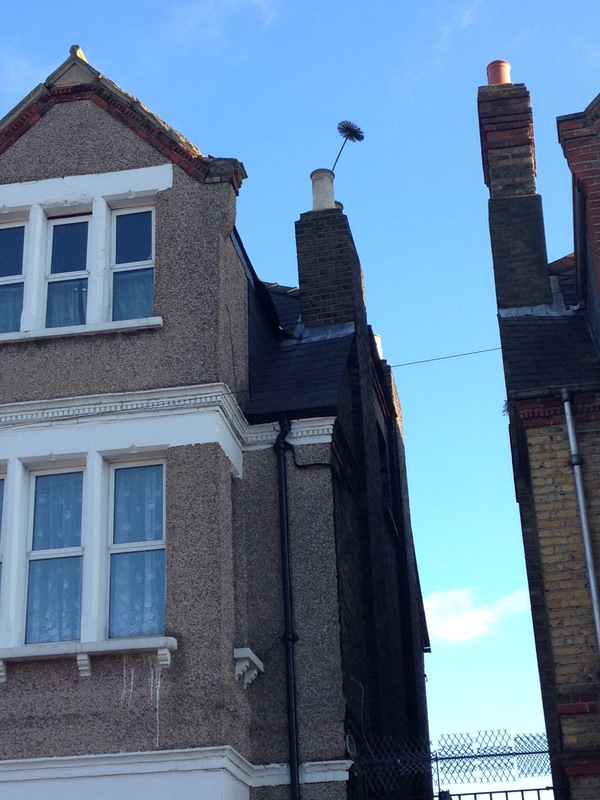 One of the things we check when we sweep a chimney is that the chimney stack and pot are in good order. This pot is leaning to the right. This indicates that further investigation is required. Possibly the flauching is defective and needs renewing. The owner of this property was complaining of a poor draw of smoke up the flue, with some smoke leaking into the room. This problem can often be linked to chimneys that are situated on an external wall. The temperature in the chimney is often significantly lower than that in the house and can lead to a ‘blockage’ of cold air. Quite often this is cured when the flue is heated up with a fire, but there is always a danger from the smoke entering the room at the start and end of the fire. A good cure for this is a spinning cowl; this forces the air up the chimney and stops cold air sitting in the flue. This is a view that is usually only seen by the chimney sweep! It shows the stove pipe connected to a flue lining. This isn’t a great installation; to meet building regulations it should have had a register plate – through which the stove pipe passes and acts to seal the chimney opening. 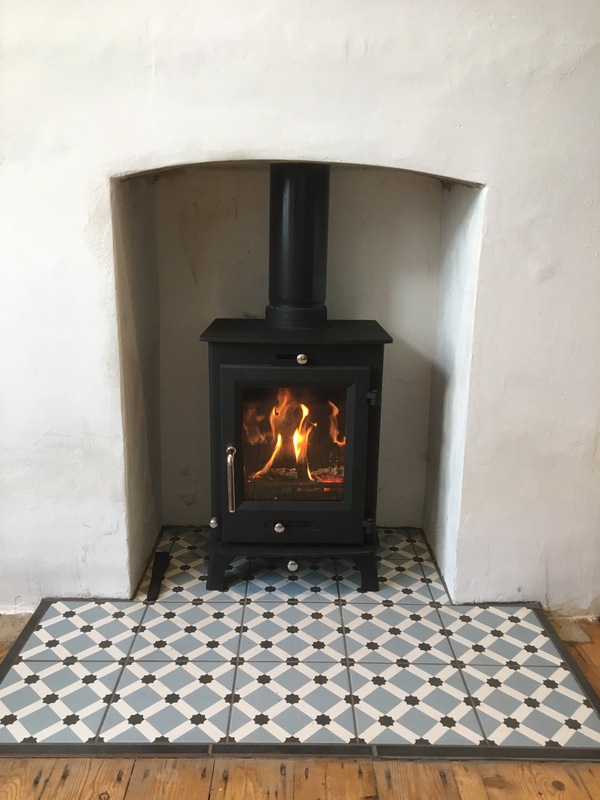 More and more stoves are now being fitted to meet building regulations, and this helps to ensure that your stove is working to its full efficiency and producing a minimum of pollution. 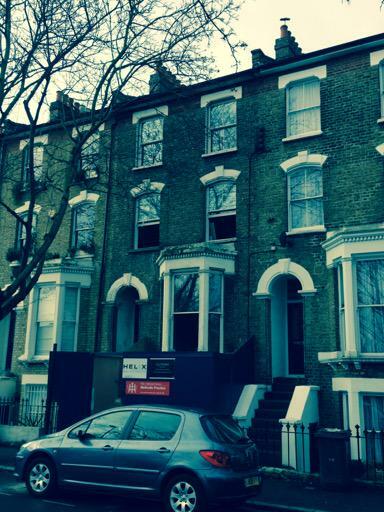 We get called to many building sites to clean chimneys whilst the property is being renovated. It is a common misconception that it is easier for us to clean chimneys at this time, especially as we have to worry less about the mess. 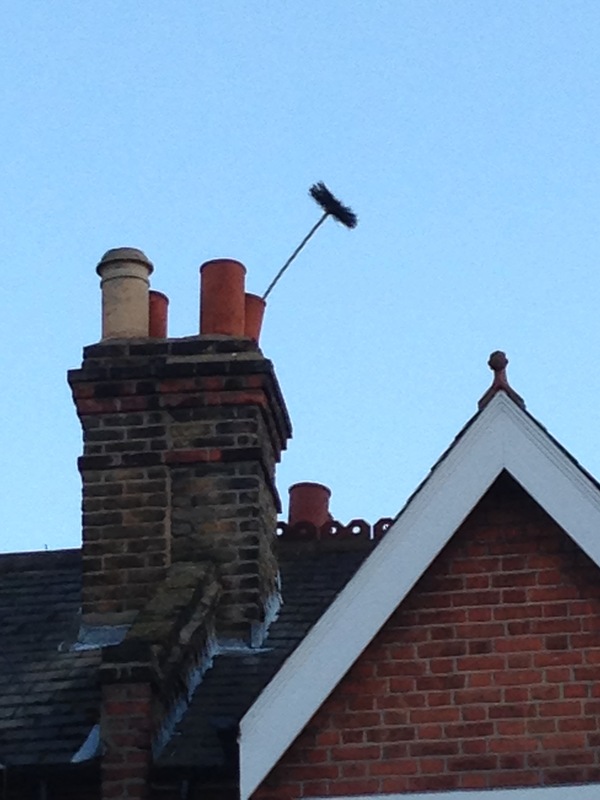 In fact, it is often harder to sweep chimneys such as this as it is harder to seal the opening to ensure soot enters the room. we always take care to ensure that dust doesn’t enter the room because of the health and safety issues of dealing with soot and cement dust. This opening was sealed with a big block of foam and this ensured we kept both the sweep and other workers safe. There is nothing better than seeing the brush come out of the pot! When this happens, you know the flue is clear and you have a good chance that the flue is serviceable. Occasionally, a flue/chimney blockage is encountered. Sometimes this is caused by building debris – especially if the there has been any major building work on the chimney stack. Occasionally it is caused by structural obstructions – usually occurring when a property has been renovated or extended. 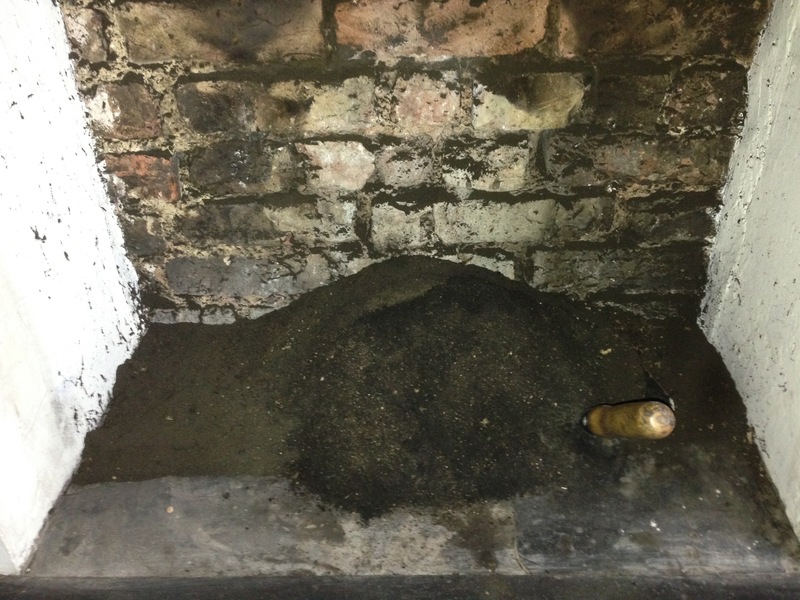 Sometimes it a blockage caused by a birds or squirrels nest, but most commonly it is caused by a failure to sweep the chimney regularly resulting in a large build up of soot. Whatever the reason for the blockage, it is vital that it is cleared before the flue is used, to avoid danger! This shot taken at the start of a busy day chimney sweeping in Streatham, was another one of the days when the chimney sweep’s views are amazing. Taken at 8.30 in the morning, the sun reflecting off airplane vapour trails was the reward for an early start! The annual Chimney Fire Safety Week takes place in 2016 from Monday 5th to Sunday 11th September. As trained and experienced chimney sweeps and stove installers we see it as a vital part of our profession to be promoting safe and responsible use of both open fires and wood burning stoves. We often get asked about how often chimney fires actually occur – with the implication that they are pretty rare and unlikely to happen….. In fact over 5000 chimney fires occurred in the UK in 2013/14 (most recent data). It also a fact that if you do have a chimney fire and haven’t had your chimney swept in the last year your insurance company is very unlikely to pay out on any claim! So, for the sake of a very affordable fee, make sure you get in touch with your local chimney sweep to get your chimney swept and tested at the earliest opportunity. 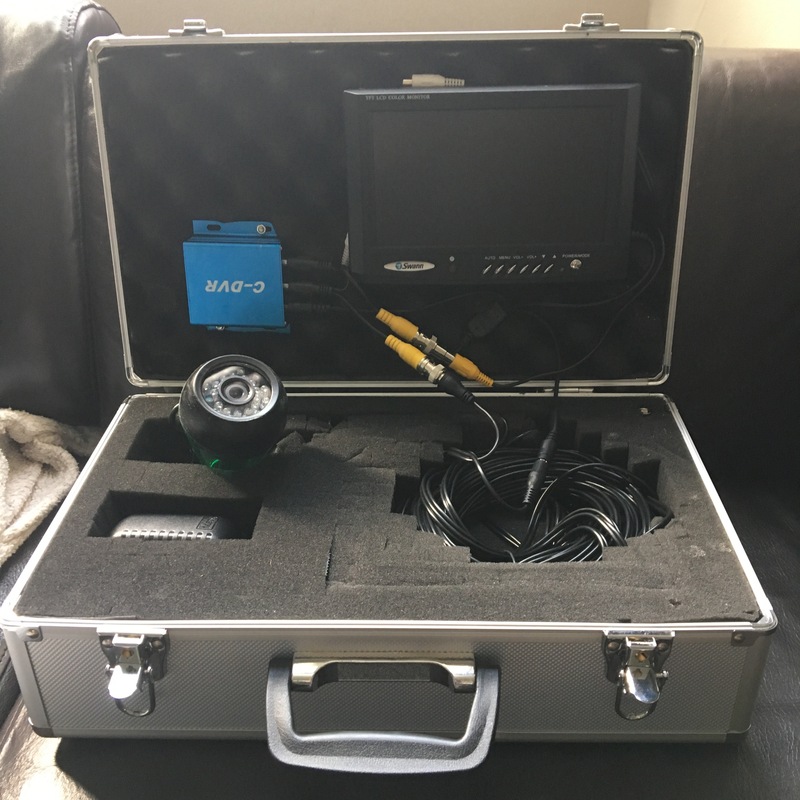 We’ve just commissioned our latest piece of tech gadgetry – a recordable 1200tvl 1080p chimney inspection camera. Basically, this means we can put a camera up your flue and inspect what is going on! Why would we want to do this? Well, there are a number of reasons for this: If we are intending to line a chimney, we need to inspect it to make sure that there are no obstructions, such as fallen bricks or slates and that there are no perforations to the flues by things like floor joists or steel (usually found when the property has had a major renovation). 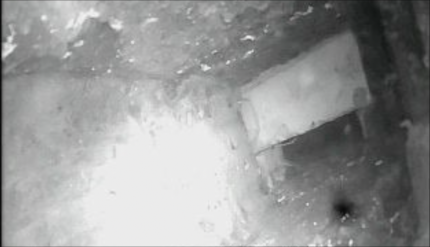 Also, when sweeping a chimney, we sometimes come across a blockage that can’t be cleared easily with our brush and rods and we use the camera to give a clearer understanding of what is needed to clear the blockage. We are also sometimes commissioned to complete a chimney survey as part of an insurance claim. Our latest piece of kit enables us to do a crystal clear recording of the whole length of the flue and this can be used to validate a claim or to ascertain what remedial work is needed. Prices for a full chimney inspection start from £200.00 and include sweeping the chimney and a recording of the inspection. We have had a rush of customers wanting to have wood burning stoves installed, ready for the winter freeze! Fortunately for us, the good weather has held and we have been able to keep everyone happy! The picture below is of a recent stove installation in Dulwich. It is a Stovax View (tall version). The extra large viewing window is a big selling point and it really looks great when it is all fired up. As HETAS approved installers, we are able to self certificate our work and we arrange for your installation to registered with your local building control. You can be rest assured you are getting a high quality stove installation at a great price! We often get asked for a ‘ball park figure’ for installing a woodburning stove. This is a difficult question to answer as it depends on a number of factors. E.g How tall is the property? How easy is it to access the chimney? 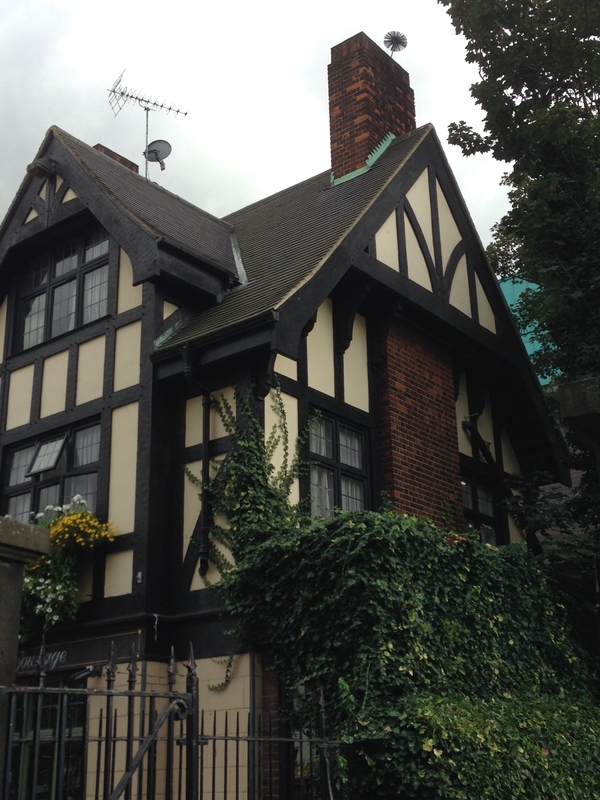 Does the hearth and opening need any work to bring it up to building regulation? Do you want a wood burning stove or a multi fuel stove? These are a few of the questions that need to be answered before a price can be worked out and of course this doesn’t take into account the actual stove! However, it isn’t always as much as you would think. The picture below is of a Ecosys Ottawa 5KW DEFRA approved multifuel stove. 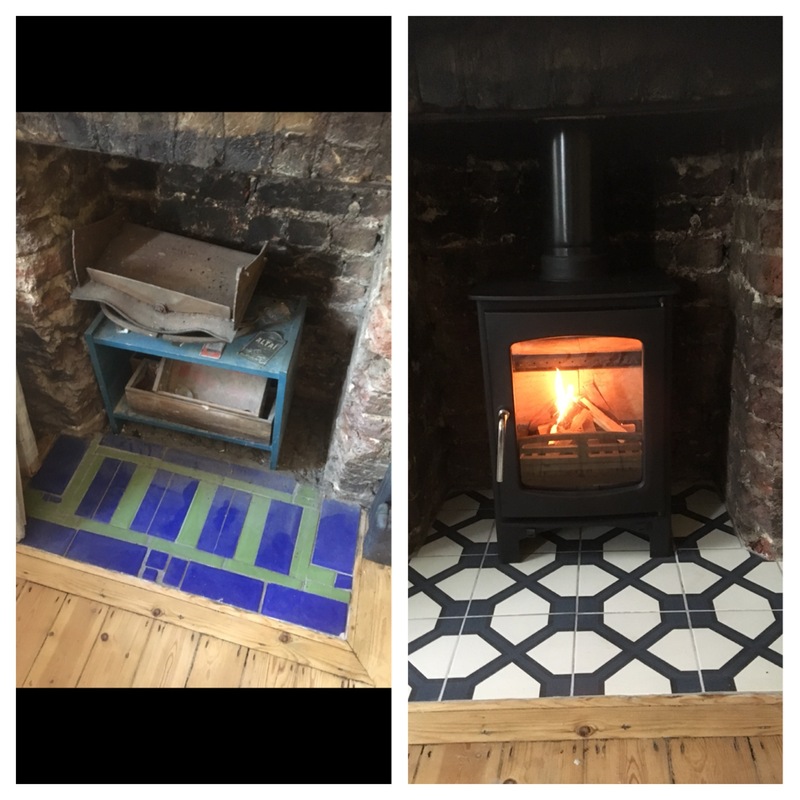 We installed this one in Nunhead in a property with very easy access to the chimney and no additional work needed to the hearth at a cost of £1600.00 including the stove! We believe this to be great value with the additional reassurance of it being installed by a HETAS registered installer. We always undertake a CCTV survey of your chimney as part of the preparation process before we install a flexible flue liner. This is a vital aspect of our process for a number of reasons. The picture above shows that there is a concrete beam perforating and partially blocking the flue. This would mean that a flexible flue liner would be unable to pass this point. Both as a customer and installer it is important that we find out about any blockages prior to ordering expensive parts! Other problems that we sometimes encounter when undertaking CCTV surveys are electrical cables that have been threaded through the flue; this could be a fire hazard as well as potentially damaging your electrical system.